I was the art director on this film (there was no PD). 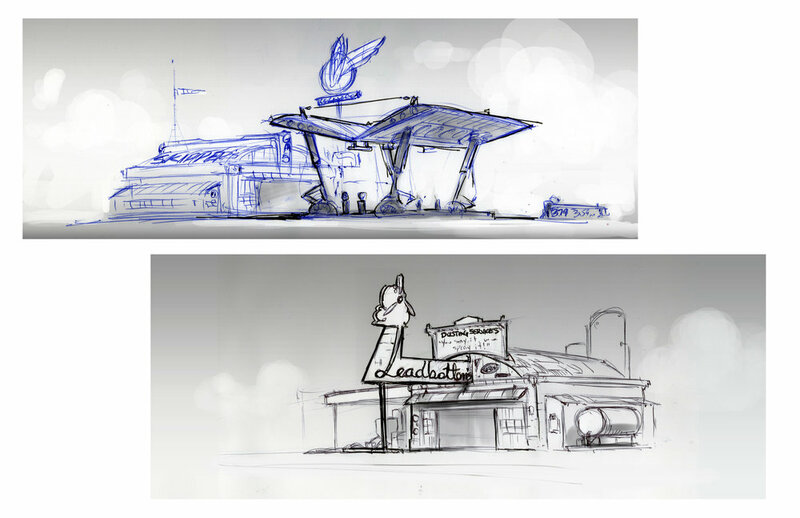 Rough concepts, sketches, and paintings I did during pre-production. Many of the ideas were carried forward by the amazing art department who put their own spin on things, or came up with better ideas.